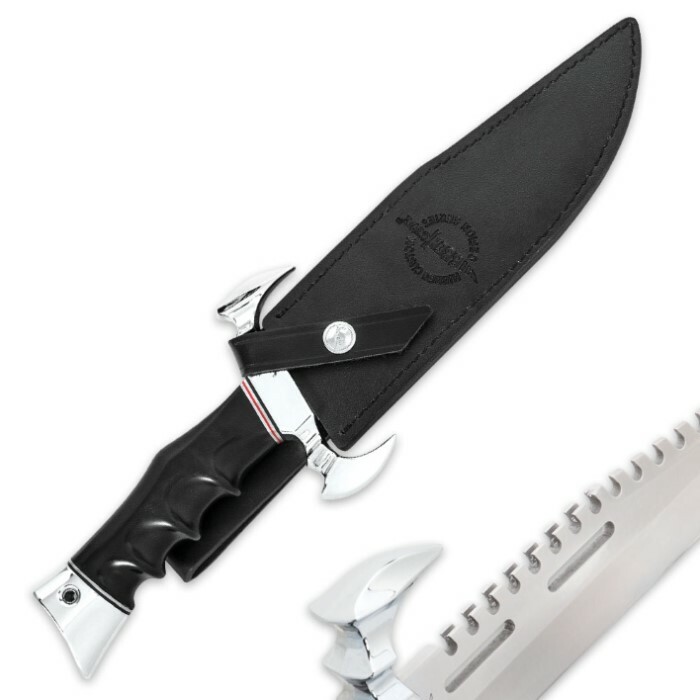 Hibben MKV Fighter Knife And Sheath | BUDK.com - Knives & Swords At The Lowest Prices! I own over 100 Gil Hibben knives and there's not a dud in the bunch, this is just one more outstanding knife in quality and design. 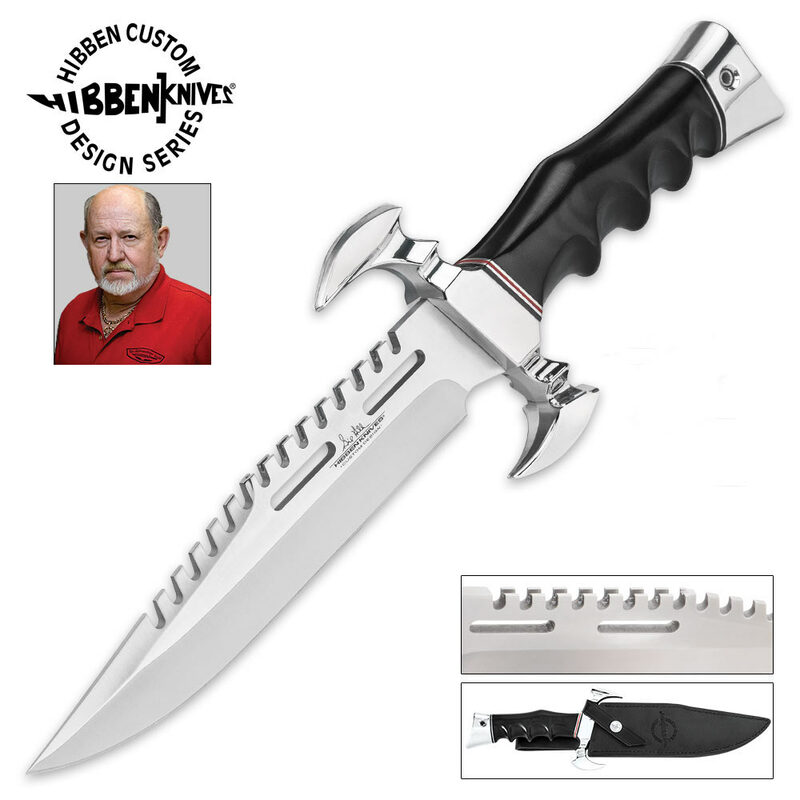 Another very nice knife from Gil Hibben! I'm very happy with my new addition to my collection. The custom sheath is fantastic and the knife only needed a little touch up to make it razor sharp. I will be buying more from Gil and BudK! Knife arrived in timely manner as always and it is beautiful. Nicely made and the guard and pommel are mirror clean. This knife has great balance even though I won't be using it outside. 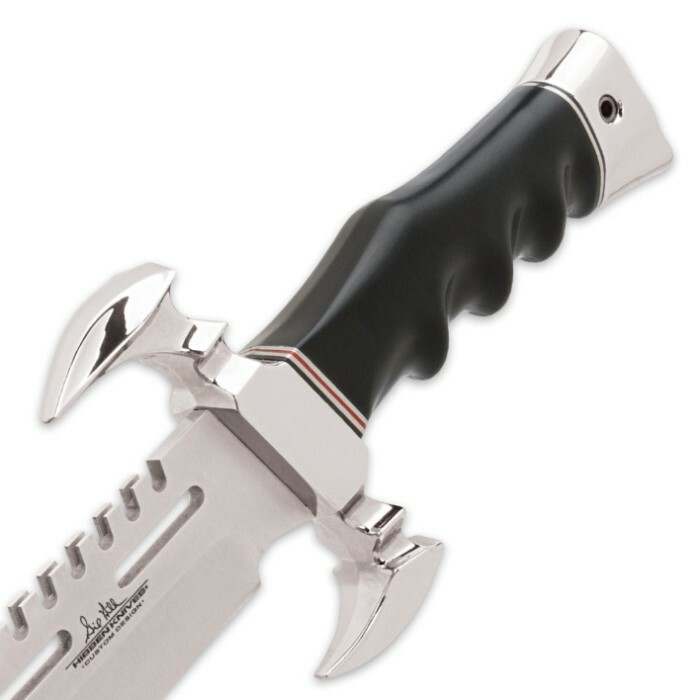 If you love knives consider this one. Thanks, Gil and BUDK.